People begin a weight loss journey for a number of reasons. The end goal might be the same but the reasons are vast. People may lose weight for health related issues, social pressures, or to conform to a specific image. Other people may suffer from different body dystrophin, OCD that they are trying to control, or some people are just tired of feeling “fat”. Whatever the initiation, it’s the journey that turns those breaking points into fuel. People use this fuel to overhaul their lifestyles. Some people start slow and build up a tolerance to their lifestyle transitions, and others quit cold turkey. Changes in lifestyle can vary from eating habits, exercise or lifestyle choices. Some new eating habits could include low carb diets, no dairy, vegan, no eating after 6pm, fasting or no sugar...the list is endless. Exercise also has an infinite range of choices. Exercise habits can range from just getting up and walking for 10 minutes to running a marathon or joining that Zumba™️ Fitness class that was always watched with envy and curiosity through the gym’s glass window. Those who have health related issues may choose to stop smoking, stop binge eating, or become strict about their diet. No matter what, the end result causes a transformation where the inches melt away and the true YOU is finally on the surface. Or is it? Let’s ask the mirror on the wall. Mirror Mirror on the wall, who is the fairest of them all? There is no denying that losing weight changes your quality of life; your clothes fit better, you feel more confident, people may notice your healthy habits and become drawn to you and want to know all of your secrets. But under all of those compliments, Instagram filters, and workout pants is a deeper side to losing weight that most people don’t like to talk about. Sometimes losing weight is only part of the journey. Weight loss sometimes comes with loose and hanging skin, stretch marks and cellulite that do not disappear as you had hoped. Sometimes losing the weight on the scale, and inches on your waist doesn’t match what you see in the mirror. Read these statements below from people around the globe. Does any of this sound familiar? Reflecting on my own personal journey, I actually find myself being more critical of myself than before my weight loss. I used to be oblivious that my weight had gotten to the point it had. I, along with so many others, was too busy taking care of my children and home that I had forgotten to take care of myself. It wasn’t until I was sitting on a beach on vacation that I realized how much bigger I was than those around me. 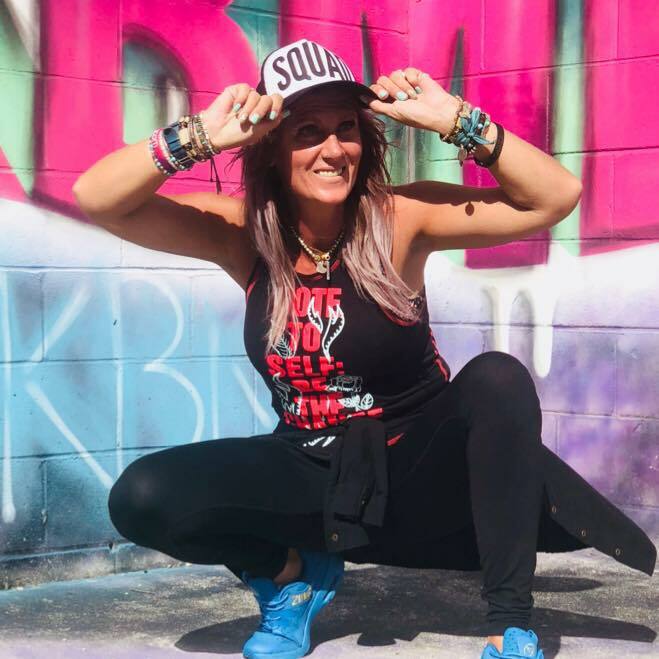 My step daughter introduced me to Zumba®️ Fitness shortly after my epiphany, and it changed my life. I lost around 50lbs and quit smoking after 29 years. My success paved the way for me to become a Zumba®️ Fitness instructor and help others on their journeys to a healthier life. Although I lost the weight, I still have stretch marks and unforgiving cellulite that plagues my body. I still have insecurities, but it doesn't stop me from taking everyday just one step at a time. I still have days where I look in the mirror and feel like I have accomplished nothing, or I step on the scale and feel like I am going backwards. During these moments it is pivotal that I remind myself, as should you, that every step backwards will just take me two step forward in the future. As women, and men, we tend to look outward for acceptance and verification that we are beautiful or enough. A mirror can only reflect what you want it to. It doesn’t have a voice of its own. The next time you stand in front of the mirror celebrate out loud your success and shower yourself with body positive compliments. Your voice will start to translate inward. Slay the negativity. Tell yourself that you are beautiful and you are ENOUGH.